Inking It Up With Cathy: Stampin' Up! 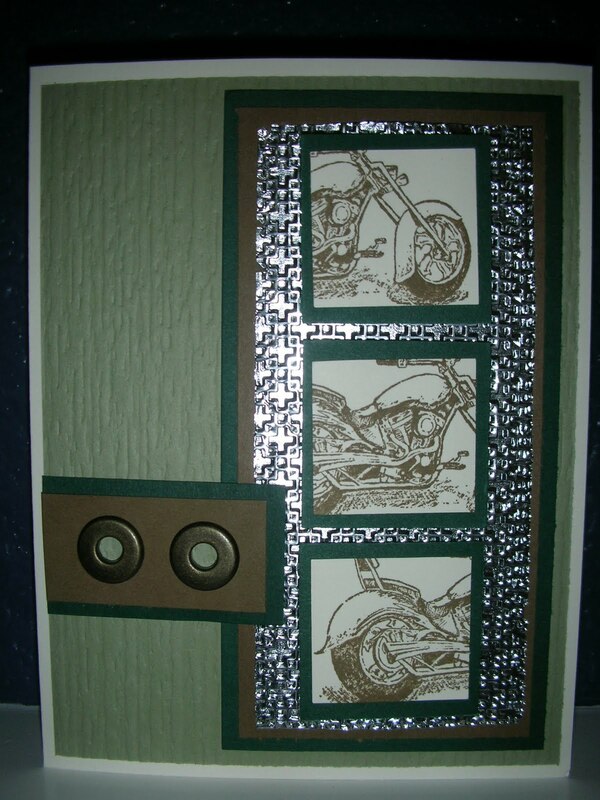 's MOTORCYCLE stamp is perfect for Father's Day!!! Stampin' Up! 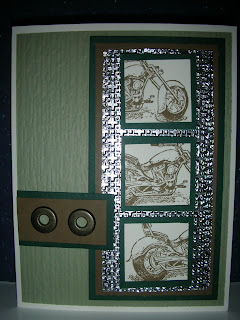 's MOTORCYCLE stamp is perfect for Father's Day!!! For another card at Barbara's workshop last weekend, I took my inspiration from Linda Creech's card on Stampin' Connection, but put a twist on her card by using the lattice embossing folder from Stampin' Up! 's Summer Mini Catalog on heavy duty aluminum foil. The Motorcycle stamp from the mini catalog is perfect for the men in our lives and a great bargain as well! This card could be used for any occasion where you need a masculine card.